That it not a small number! Having seized the fortress of Gujurat from the Sindhurans, Arslan faces a dilemma. The overwhelming numbers of the Sindhurans loyal to Prince Gadevi has split the Parsians off from their ally, Prince Rajendra. When faced with the might of Gadevi’s war elephants, Rajendra faces certain defeat, until the timely arrival of the Parsian cavalry saves them from total annihilation. With the war elephants dead and Gadevi’s army routed, an opportunity to end the conflict through a ritual duel arises, and Arslan will have to decide if he values his alliance with Rajendra enough to risk the life of one of his loyal companions. Episode 16 focuses on yet another battle in the quest to secure Rajendra’s succession to the throne of Sindhura. 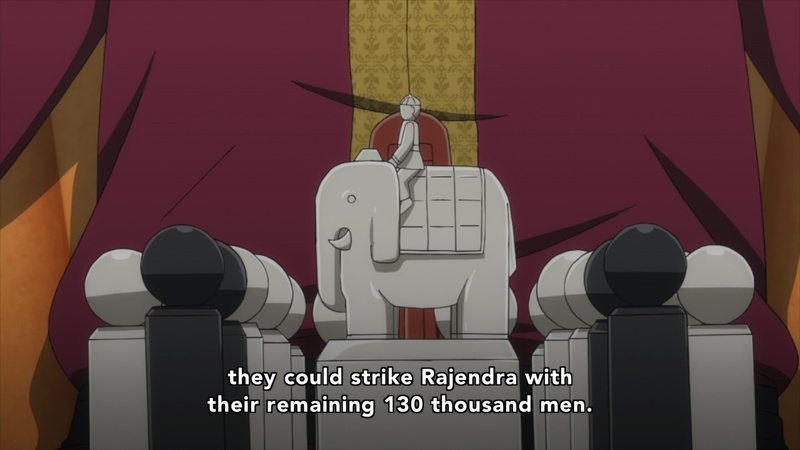 As the battle unfolds, Prince Gadevi’s massive army and the power of his war elephants are poised to destroy Rajendra’s much smaller force. Luckily for Rajendra, the unstoppable combination of Narsus and Daryun arrive to pull his backside out of the fire and slaughter the enemy once again. Another massive battle that would have been a nigh-impossible challenge for anyone else is reduced to a mere speed bump on their rampage across the country. Now, I’m a guy who enjoys his battles. Whether they’re massed armies clashing in the field, mechs stomping through urban terrain or starships blasting away at each other in space, I’m usually all for a good epic battle scene. Sadly, the repeated battles in Arslan have started to wear on me, and I find myself caring less and less about the outcome. This is due in part to how the stakes of recent battles have become much less personal for our heroes, and how little most of them seem to do during the fight. Since the introduction of Sindhura, we’ve fought three large-scale battles back-to-back, with limited time for anything else. 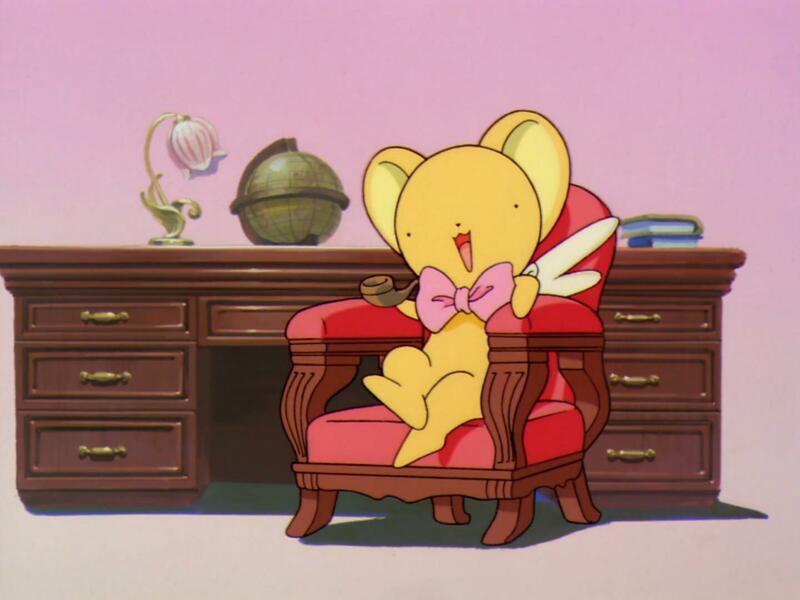 This would be fatiguing on its own, but the fact that each one has been won so handily by our protagonists (or should I say, by Narsus) makes any sense of accomplishment lose its luster. For three straight episodes, Arslan and his company have been faced with tough odds, yet have beaten those odds so soundly that it’s a wonder anyone even considers taking the field against them at all. Between Narsus’s tactical genius and Daryun’s unstoppable strength, nothing has come even close to genuinely challenging them. This episode has made it all too apparent that there is nothing that can stand in Arslan’s way. Even with their forces split, and facing an enemy that outnumbers them almost three to one, they are able to once again win the day. 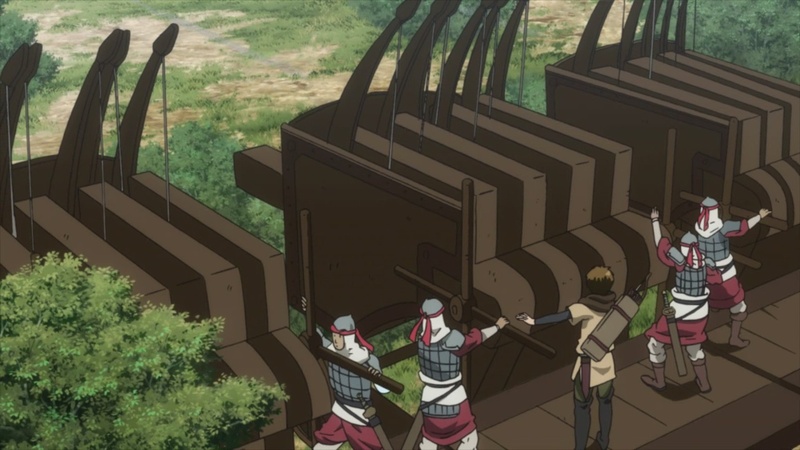 The tactics on display are still fun to watch, and the use of cavalry to lure the Sindhuran elephants into a trap is legitimately clever. Even so, I cannot imagine how the Parsian detachment, which Arlsan said arrived in a hurry, was able to transport (or even construct) the complex war machines used to counter the elephants. Did you sneak them in under cover of mid-afternoon? Much like the nighttime fight outside the fortress in Episode 15, everything seems to work simply because Narsus wants it to. The outcome is utterly predictable, and it takes all the tension out of the conflict. The show also continues to struggle with finding anything for Arslan or his other retainers to do. The Prince once more sits on the sidelines and says very little, while Geive, Farangis, Elam and Alfreed continue to play background support for a few seconds a-piece. No mention of Hermes, Lusitania or Ecbatana passes anyone’s lips. This entire detour into Sindhura is becoming a distraction for both the viewer and the cast, as none of the characters introduced in this arc are interesting enough for me to care what happens to them. Juswant may have potential, but Rajendra’s rivalry with his brother is so divorced from Arslan’s struggle to save his people and reclaim the throne that I find it hard to dredge up any sympathy or concern for either of them. At least Rajendra is seen inspiring his troops, which is more than I can say for our titular Prince. 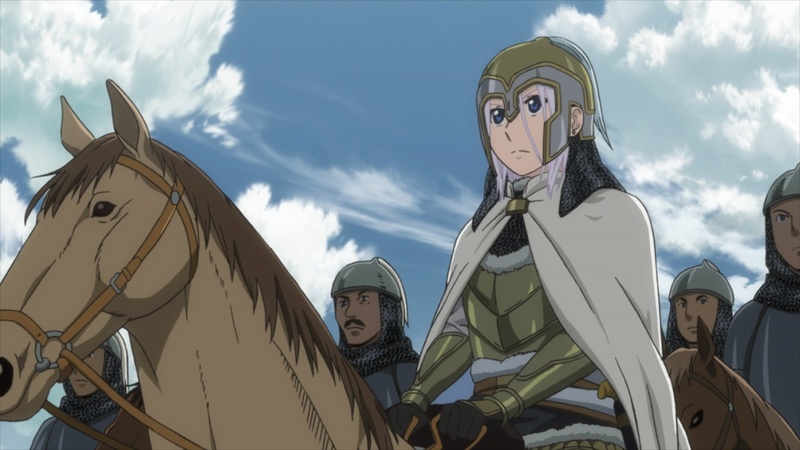 Arslan continues to slog through it’s least interesting side-story yet. After the tense flight from Silver Mask/Hermes and the siege of Ecbatana in the first half, the show has settled into a predictable routine of battles won mainly by Narsus’s skill and the antagonists’ incompetence. 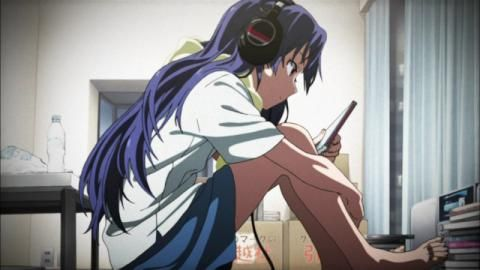 With its title character still failing to provide leadership or insight, it’s becoming harder and harder to see how the series can return to the intense struggles of its earlier episodes. 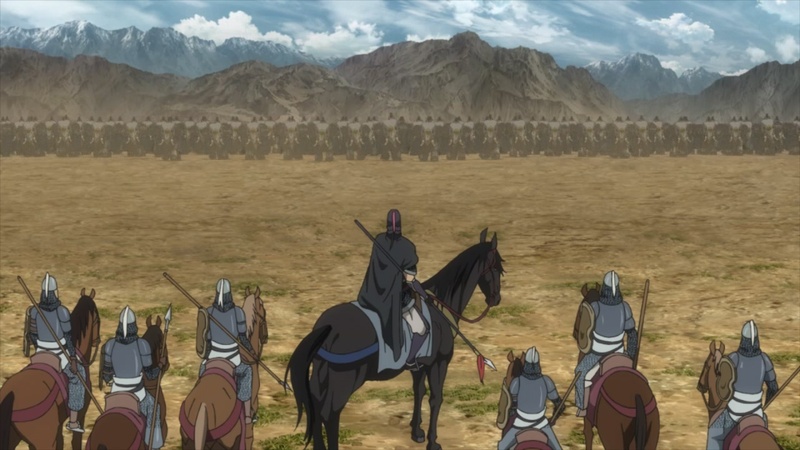 The preview for the next episode promises what could be a battle with much more personal stakes for Arslan and his friends, so it’s possible things may begin to turn around soon. I certainly hope so, before we descend even further into The Heroic Legend of Narsus (Featuring Daryun).